Although lemons may not be what you would choose for an afternoon snack, these bright, yellow fruits are powerhouses when you want to bring out the flavour of other foods. Lemons are oval in shape and feature a yellow, textured outer peel and like other citrus fruits, their inner flesh is encased in eight to ten segments. Lemons deliver an excellent amount of vitamin C, which is vital for a strong immune system whose main goal is to protect you from illness; so a little extra vitamin C may be useful in conditions like colds, flus, and recurrent ear infections. Owing to the multitude of vitamin C’s health benefits, it is not surprising that research has shown that consumption of vegetables and fruits high in this nutrient is associated with a reduced risk of death from heart disease, stroke and cancer. 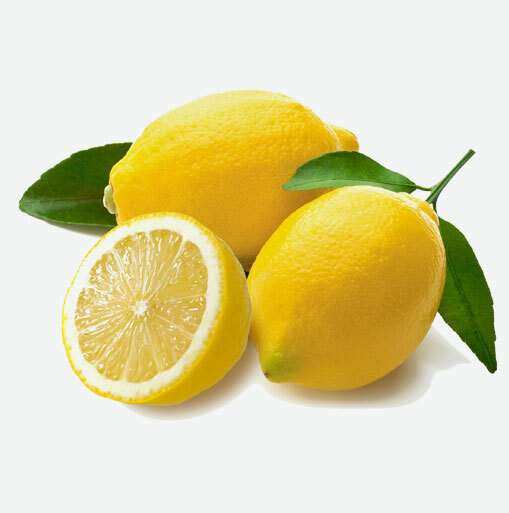 Choose lemons that are heavy for their size and that have peels with a finely grained texture. They should be fully yellow in colour as those that have green tinges will be more acidic because they have not fully ripened. Signs of over-ripe fruit include wrinkling, soft or hard patches and dull colouring. Lemons will stay fresh kept at room temperature, away from exposure to sunlight, for about one week. If you will not be using them within this time period, you can store the lemons in the refrigerator crisper where they will keep for around four weeks. Before cutting lemons, wash the skin so that any dirt or bacteria residing on the surface will not be transferred to the fruit’s interior. Lemons will produce more juice when they are at room temperature; if you are in a rush, place them in a bowl of warm water for several minutes. Rolling them under the palm of your hand on a flat surface will also help to extract more juice. Extracting juice can be done by either using a juicer, a reamer or doing it the old fashioned way by squeezing lemons with your hand. Place thinly sliced lemons, peel and all, underneath and around fish before cooking. Baking or broiling will soften the slices so that they can be eaten along with the fish. Combine lemon juice with olive or flax oil, freshly crushed garlic and pepper to make a light and refreshing salad dressing. If you are watching your salt intake (and even if you are not), serve lemon wedges with meals as their tartness makes a great salt substitute.